Off the tip of land once known as the Penetanguishene Peninsula lies the Georgian Triangle. These three islands share the Southern Georgian Bay with a greater constellation including the Giants Tomb and the Watchers group. This region is wild, and loaded with open water lines exposed to the full brash of wind and water, uncurbed by land. With proper alignments, a good downwinder can assist you along, and ultimately generate enough swell to wave-ride en route between isles. Aaron Pilon and I recently paddled out to Hope Island at the tip of the Georgian Triangle. Our original plan to shoot for an overnight on the Watchers was foiled due to a late start. 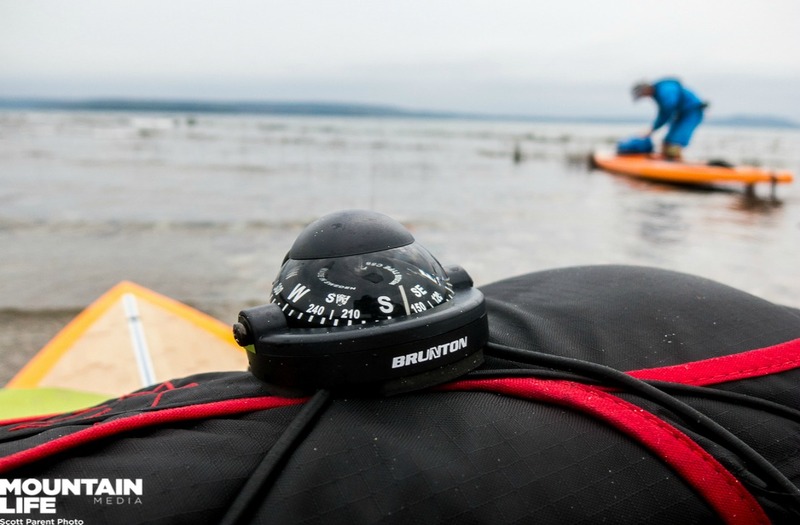 Conditions had looked ideal for a downwinder from the remote Watchers to Hope Island on day two, but we erred on the side of caution and paddled into the sandy eastern basin of the enchanting Beckwith Island. 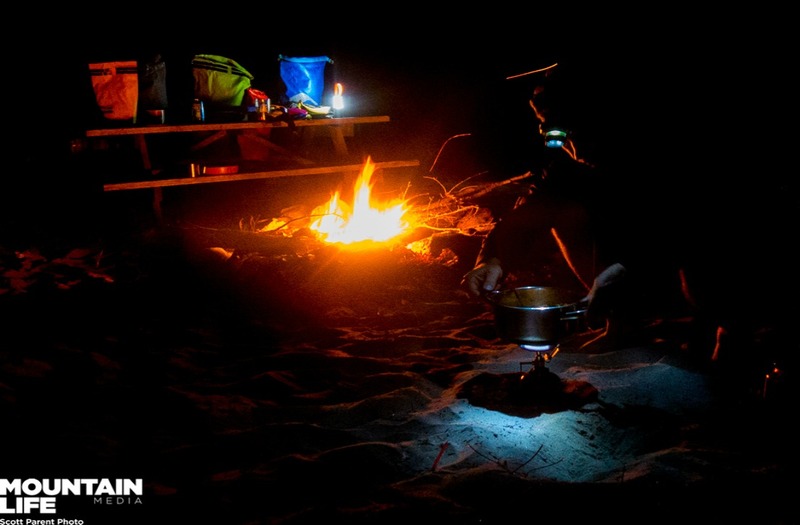 We set up camp in short order, and feasted by the glow of firelight on the sandy shore. Kitchikewana slept peacefully to the east under the warm blanket of Indian summer. We awoke to the winds stronger than forecast and more out of the north east. We portaged the neck of Beckwith to the lee side and into the heart of the Georgian Triangle. From here we paddled north toward the Hope Island lighthouse. 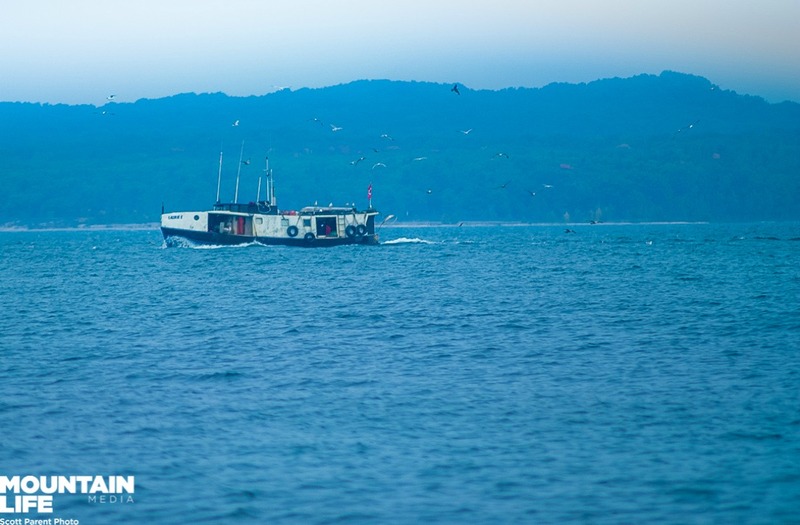 Other than a lonesome sailboat in the west harbour, we shared the waters with only one other vessel, the Laurie E – a Metis fishing tug that has fished the waters surrounding the Georgian Triangle for generations. I once laboured a season on that tug, with Captain Bernard Lepage, and learned a lot about the temperaments of the Bay first-hand under his helm. In passing, we could tell they were cleaning whitefish pulled off the northeast shallows of Hope Island by the cloud of gulls engulfing the tug. Crossing over to Hope we had the wind at our shoulder, but the water temps were warm across the shallow channel. We disembarked at the historical Hope Island lighthouse, and explored its ghostly ruins. We caught the downwind along the north coast, at around 11 knots, and sailed it. Rounding the northwestern horn of the island, we could see clean rolling swell arriving from the open waters to the north. We were able to surf this stretch of coast, falling back into our stances, and catch a few waves. SUP touring invites surfing as a mode of travel where it can be applied on a given line. We employ both paddling and surfing skills to further our progress. We ride to the places where there are no rules, hatching the new method of open water exploration. Paired on twin Catalina 14‘ Bluwaves, we had no trouble carrying everything required for multi-day journeying. 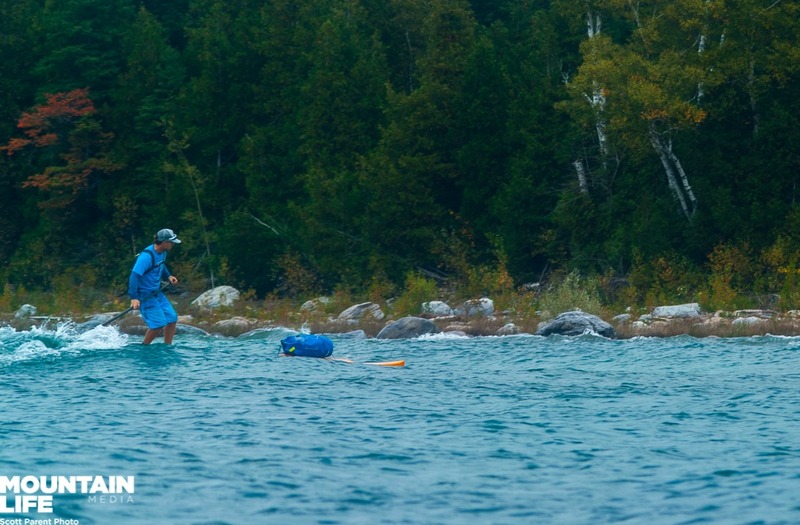 We shifted drafts on the way back across the open channel and paddled down the heart of Christian, Beckwith and Hope, marinated in the essence of Georgian Bay.